This Saturday, January 16 Cincinnati’s oldest bar, Arnold’s Bar & Grill, will welcome Jake Speed and the Freddies for a live performance brought to you by Christian Moerlein. There will be beer specials on Christian Moerlein/Hudepohl Schoenling’s wide variety of Cincinnati beers, and Moerlein representatives will even be there all night handing out free Christian Moerlein gear. Arnold’s will be serving a special menu that night as consisting of different foods made with each of the Moerlein beers. Jake Speed and the Freddies will start at 8pm and play throughout the night. 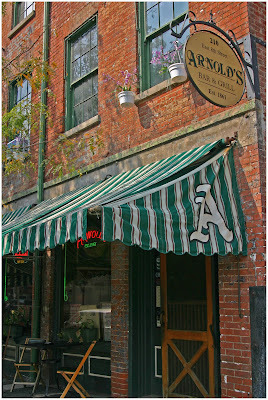 Arnold’s Bar & Grill offers one of Cincinnati’s most unique and comfortable bar scenes, and is easily accessible located in the heart of downtown Cincinnati (map). There is no cover charge for this event.